Have you ever continued to do something you knew was probably not good for you? I have. Recently, in fact. Mortal Skies is a perfect example. I love this game- even though my hand gets so tired it starts to cramp up after a mission or two. But I keep playing. So the obvious questions are what is Mortal Skies and what makes it so good? The year is 1944 and it’s World War II. You’re a flyboy (or girl). Your orders are to stop a hostile invasion force from taking over the world. You up to the task? 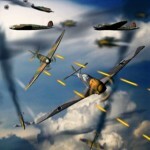 Mortal Skies, from Erwin Jansen, is a shoot ’em up that reminds me of the arcade game 1942 from Capcom that I used to play way back in the day. Video game graphics have come a long way since 1984, though, and this one looks great. 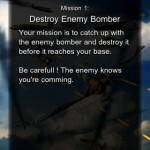 Mortal Skies consists of 7 levels, or missions, in which the player engages enemy planes, bombers, tanks, and choppers. 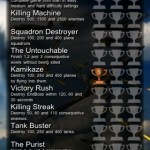 By shooting and blowing things up, players earn extra planes and open a bonus level based on their achievements. 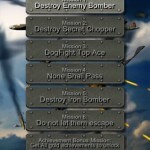 At the end of each mission is an endboss that must be defeated in a one-on-however-many-they-choose-to-throw-at-you dogfight. Along the way, players can receive gun upgrades, reflective shields, increase health, unlock planes, and earn gold, bronze, and silver cups. I enjoyed playing Mortal Skies. It’s a straightforward shooter game that requires a minimum of strategy. Yes, the enemies you’re fighting have different abilities you must adapt to in order to beat them, but if you’ve acquired enough weapon upgrades, you can last a while in a straight-up dogfight. If you haven’t the weapons, it’s nearly impossible to defeat the endbosses at the tail end of each mission. That brings up another point: the game’s difficulty. Players can control their plane using either touch controls or the accelerometer and can adjust the difficulty setting to make it easier. However, it’s still very tough even on the easiest slider setting. 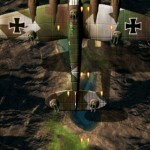 A pending update (1.1) will make it easier to play, however, and should also lighten the plane so it doesn’t drag to the degree it currently does. 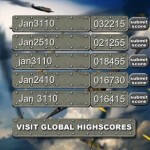 I would definitely recommend Mortal Skies: the gameplay is solid, graphics are superb, and it’s quite a challenge. But one of those nifty carpal tunnel hand casts is almost certainly in my future. Sweet … looks pretty cool!